Back in August 2012 we reported on the decline of Tottenham Court, a street once famed as the place to go to for consumer electronics in London. Up until fairly recently, both sides of the street were lined with shops selling computers, cameras, hi-fis and other electronic gear, but now the well established electronics store Micro Anvika has joined the long lines of closed businesses. 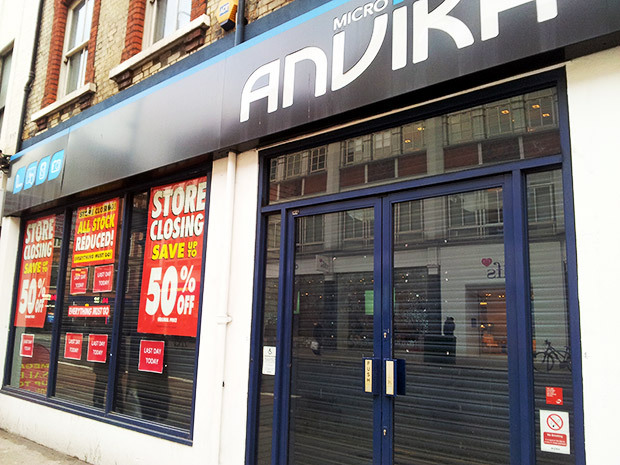 Micro Anvika began trading in 1984 on London’s Tottenham Court Road, and at their peak had three stores within a 500m stretch on the same road. With rapidly declining profits and a damning visit from retail expert Mary Portas in 2009, the writing was on the wall for this long established business, and after going into administration in September 2012, four of its shops closed. The last few months saw Micro Anvika battling on with just two stores in London and one in Newcastle. It hung on to its mail order business for a while longer, while staff numbers plummeted from 140 to 48 The end finally came in the new year. Pictured above is the now-vacated premises of their last remaining store on Tottenham Court Road. 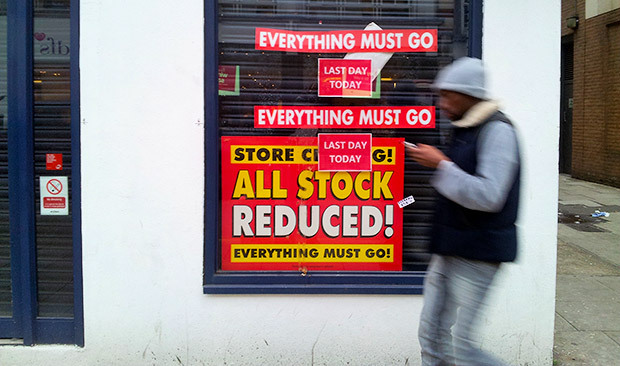 For a rather depressing list of lost High Street businesses, check out this site: Who’s Gone Bust in Retailing 2010-13? They were never known for being particularly good on pricing, and catered to the non tech savvy amongst us. They were the most expensive shop for computers.